The Western Children’s Mission had its beginnings in the 1932 to 1933 school year, when the faculty and a number of the students at Bethany Bible School gathered every Monday evening for special prayer on behalf of the large homesteading and Doukhobor districts in the northern Prairie Provinces. Thirteen young people from Bethany volunteered to go into these areas. A committee of five was chosen to be responsible for the work. The most prominent workers in those early years were Jacob H. Epp, Frank F. Froese, G.W. Peters, and J.B. Toews. Summer vacation Bible schools were conducted in twelve outlying district schools. Bible classes and evangelistic services were held, many homes were visited, and hundreds of tracts were distributed. The Mission was an evangelistic agency to reach unchurched children, operating in the three western Canadian provinces. Its objectives were also to reach adults in the district by means of personal work, evangelistic meetings, Bible classes, and the distribution of sound Christian literature; to conduct Sunday schools and evangelistic meetings, to organize prayer groups, and Christian fellowship groups for the edification of the Christians and the salvation of souls; to introduce, wherever possible, a Bible Memory Contest and free correspondence course of Bible studies. The mission was supported through free-will offerings. The Mission was established and incorporated in 1937 in Saskatchewan, in 1940 in Alberta, and in 1941 in British Columbia by an interdenominational group. This group included members of the Mennonite Brethren Church in Saskatchewan. In 1939 G.W. Peters was elected president, J.H. Epp became the field director, and Alvena Kruger (Epp’s future wife) was field secretary of the Western Children’s Mission, Rosthern District. There was no promise of salary, only that whatever monies came in would be divided equally. In 1940 Ben Kroeker became the field director. The first permanent full-time committee was chosen and work on full-time stations was begun. A printing press was purchased. In 1941 the radio ministry was started. In 1943 the Hepburn headquarters were purchased. In 1944 Sand Beach Bible Camp was opened and the Evangelical Book Shop was started. In 1946 the mission was taken over by the MB Conference of Saskatchewan. The Saskatchewan Conference of Mennonite Brethren Churches met separately from the Northern District Conference for the first time in 1946. At that convention the delegates decided that the Rosthern District and the Herbert District would jointly administer the Western Children’s Mission. A five-member executive committee was to direct the work, three members chosen by the conference delegates, and one member chosen by each district. Jacob Epp (president) and Frank F. Froese (secretary), who had administered the mission in past years, remained on the committee. A full-time director was to be chosen as the third committee member. Also in 1946, a constitution and a budget were accepted. In 1952 the Western Children’s Mission was broken up into three provincial agencies. The West Coast Children’s Mission functioned in British Columbia; the Randmission under the Alberta M.B Conference. continued the work in Alberta; and the Saskatchewan activities were functioned under the Saskatchewan MB Conference with headquarters at Hepburn, Saskatchewan. In 1952 the Saskatchewan mission carried on work at six stations: Pierceland 275 miles northwest of Hepburn; Northvale (Milton) 85 miles northwest of Hepburn; Hague Ferry 21 miles east of Hepburn; Warman 22 miles southeast of Hepburn; Lucky Lake and Blumenort. The mission also administered two Bible camps, Summer Vacation Bible School, a bimonthly paper called “The Challenger,” and a Bible memory contest. Work at the stations consisted of regular Sunday schools, Sunday morning worship services, Sunday evening services, mid-week prayer meetings and Bible studies, young people’s meetings and in some places choir practice and children’s meetings. At the Provincial Conference of the Mennonite Brethren Churches of Saskatchewan in 1953, the question was raised about a name change for the Western Children’s Mission since the mission was working only in Saskatchewan, not primarily with children, and now belonged to the MB Conference. Because the work of the Western Children’s Mission (WCM) was much like other mission work in Saskatchewan, it was suggested that WCM should be under the same umbrella as other provincial mission work. WCM and City Mission merged into one work under the name of Mennonite Brethren Mission of Saskatchewan. (See Yearbook of the Saskatchewan Conference of MB Churches, 1954, p. 3). This fonds consists of the following series: Reports, correspondence, programs and two DVBS publications.. I. Western Children’s Mission reports. This series consists of weekly or monthly statistical reports, as well as monthly financial reports from each station beginning in 1947 with gaps in the records, reports of the General Director (J.S. Adrian) from 1952–1954, reports of Summer Vacation Bible School and camps including lists of teachers and their schools, and statistical mission summary reports for the missions stations. The individual mission station reports show how each place evolved and sometimes contain personal notes from the field worker. Finding aid: Volume 901, file list 1–68; Volume 902, file list 69–78. II. Western Children’s Mission correspondence. This series consists of monthly circulars in which the missionary at each station contributed a note. These circulars served as a communication vehicle among the mission workers. Also in this series is correspondence between Frank F. Froese (Secretary Treasurer of Western Children’s Mission) and J.J. Thiessen (Assistant Director), R. Wirsche (Westbank Camp), and J.E. Priebe (Field Director of Western Children’s Mission). Finding aid: Volume 902, file list 79–89. III. Western Children’s Mission programs. This series consists of radio programs sponsored by the Western Children’s Mission, usually under the direction of Frank F. Froese; application forms for teaching Summer Vacation Bible School; and applications for the Bible Memory Contest. A history of the mission and a constitution are also included in this series. Finding aid: Volume 902, file list 90–105. IV. Western Children’s Mission recording. one sound recording: 40 cm diam. This item consists of one two-sided 33.3 RPM sound recording produced by CFQC Recording Service Saskatoon on June 26, 1948. 1. Book of annual minutes and reports of the Bethany Prayer League Children’s Mission. -- 1936–1940. 1a. Lists of Summer Vacation Bible School workers and schools. -- 1941–1949. 2. Summer Vacation Bible School and camp reports. -- 1950. 3. Summer Vacation Bible School reports. -- 1951. 4. Summer Vacation Bible School reports. -- 1952. 5. Summer Vacation Bible School reports. -- 1953. 6. Summer Vacation Bible School reports. -- 1954. 7. General Director’s reports. -- 1952, 1953. 8. General Director’s reports. -- 1954. 9. Missions summary reports. -- 1953. 10. Missions summary reports. -- 1954. 11. Arelee reports by D.B. Wiens. -- 1947. 12. Arelee reports by D.B. Wiens. --1948. 13. B.C. worker’s weekly reports by K.P. Janzen. -- 1946. 14. B.C. worker’s weekly reports by K.P. Janzen. -- 1947. 15. B.C. worker’s weekly reports by K.P. Janzen. -- 1948. 16. Big River worker’s weekly reports by G. Hangerud. -- 1946. 17. Blumenhof worker’s weekly reports by Cornie Enns and Art Martens.-- 1945. 18. Blumenhof worker’s weekly reports by Art Martens. -- 1946. 19. Blumenhof worker’s weekly reports by Art Martens. -- 1947. 20. Blumenhof worker’s weekly reports by Art Martens. -- 1948. 21. Blumenort worker’s weekly reports by Otto Derksen. -- 1948. 22. Blumenort worker’s weekly reports by Otto Derksen. -- 1949. 23. Blumenort worker’s weekly reports by Otto Derksen. -- 1950. 24. Blumenort worker’s weekly reports by Otto Derksen and P.C. Tilitzky. -- 1951. 25. Blumenort worker’s weekly reports by P.C. Tilitzky. -- 1952. 26. Borden worker’s weekly reports by Alvin Penner. -- 1952. 27. Borden worker’s monthly reports by Alvin Penner. -- 1953. 28. Compass worker’s monthly reports by Dave Nickel. -- 1953, 1954. 29. Foam Lake worker’s monthly reports by Alvin Penner. -- 1953, 1954. 30. Gravelburg worker’s weekly reports by W. Reimcke. -- 1945, 1946. 31. 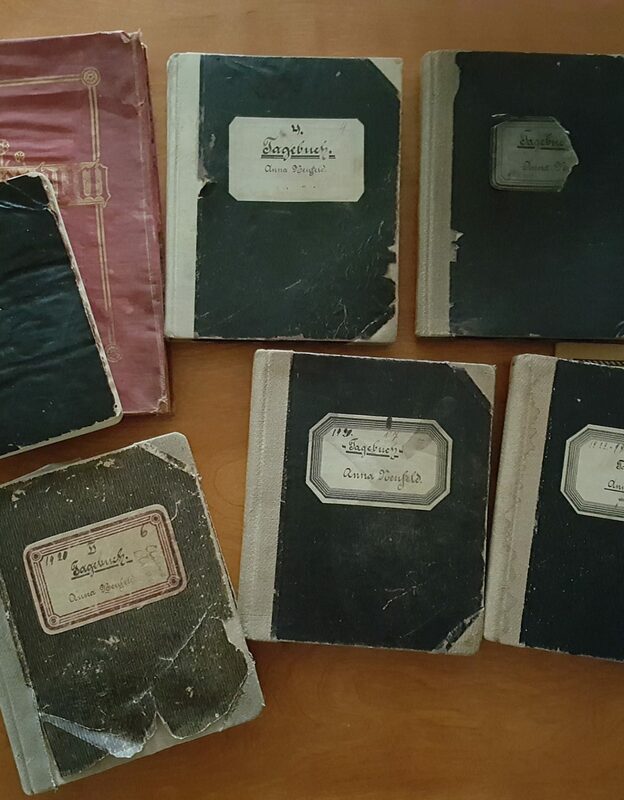 Gravelburg worker’s monthly reports by W. Reimcke. -- 1947. 32. Hague Ferry worker’s weekly reports by Katie Wiebe and Helena Unruh. -- 1945, 1946. 33. Hague Ferry worker’s weekly reports by Helena Unruh. -- 1947. 34. Hague Ferry worker’s weekly reports by Helena Unruh and Jean Fehr. -- 1948. 35. Hague Ferry worker’s weekly reports by Helena Unruh and Jean Fehr. -- 1949. 36. Hague Ferry worker’s weekly reports by Helena Unruh and Theodor Martens. -- 1950. 37. Hague Ferry worker’s weekly reports by Jean Fehr and Theodor Martens. -- 1951. 38. Hague Ferry worker’s weekly reports by Victor Nickel, G.D. Geddert, and Erna Bartel. -- 1952. 39. Hague Ferry worker’s monthly reports by Victor Nickel. -- 1953, 1954. 40. Hochfeld worker’s weekly reports by Louis H. Goertz. -- 1945, 1946. 41. Hochfeld worker’s weekly reports by Louis H. Goertz. -- 1947. 42. Lucky Lake worker’s weekly reports by J.S. Adrian. -- 1946. 43. Lucky Lake worker’s weekly reports by J.S. Adrian. -- 1947. 44. Lucky Lake worker’s weekly reports by J.S. Adrian. -- 1948. 45. Lucky Lake worker’s weekly reports by J.S. Adrian. -- 1949. 46. Lucky Lake worker’s weekly reports by J.S. Adrian and P.C. Tilitzky. -- 1950. 47. Lucky Lake worker’s weekly reports by J.S. Adrian and P.C. Tilitzky. -- 1951. 48. Lucky Lake worker’s weekly reports by J.S. Adrian and Rudy Janzen. -- 1952. 49. Lucky Lake worker’s monthly reports by Rudy Janzen. -- 1953. 50. Lucky Lake worker’s monthly reports by Frank F. Froese. -- 1954. 51. McMahon worker’s weekly reports by Art Martens. -- 1945. 52. Mildred worker’s monthly reports by Menno Lepp. -- 1953, 1954. 53. Northvale worker’s weekly reports by A.H. Pauls. -- 1945, 1946. 54. Northvale worker’s weekly reports by A.H. Pauls. -- 1947. 55. Northvale worker’s weekly reports by A.H. Pauls. -- 1948. 56. Northvale worker’s weekly reports by A.H. Pauls. -- 1949. 57. Northvale worker’s weekly reports by A.H. Pauls. -- 1950. 58. Northvale worker’s weekly reports by A.H. Pauls. -- 1951. 59. Northvale worker’s weekly reports by A.H. Pauls. -- 1952. 60. Pierceland worker’s weekly reports by Jacob J. Dyck. -- 1945. 61. Pierceland worker’s weekly reports by D.D. Fehr and Abram A. Wiebe. -- 1946. 62. Pierceland worker’s weekly reports by D.D. Fehr and Abram A. Wiebe. -- 1947. 63. Pierceland worker’s weekly reports by Abram A. Wiebe. -- 1948. 64. Pierceland worker’s weekly reports by Abram A. Wiebe. -- 1949. 65. Pierceland worker’s weekly reports by Abram A. Wiebe. -- 1950. 66. Pierceland worker’s weekly reports by John G. Willems. -- 1952. 67. Pierceland worker’s monthly reports by John G. Willems. -- 1953, 1954. 68. Regina worker’s monthly reports by George L. Braun. -- 1953, 1954. 69. Stump Lake worker’s weekly reports by J. Stobbe. -- 1945, 1946. 70. Swift Current worker’s monthly reports by Lawrence A. Redekopp. -- 1953, 1954. 71. Warman worker’s weekly reports by Menno Lepp. -- 1948. 72. Warman worker’s weekly reports by Menno Lepp. -- 1949. 73. Warman worker’s weekly reports by Menno Lepp. -- 1950. 74. Warman worker’s weekly reports by Menno Lepp. -- 1951. 75. Warman worker’s weekly reports by Menno Lepp and Norman Fehr. -- 1952. 76. Warman worker’s monthly reports by Norman Fehr. -- 1953, 1954. 77. Five booklets of financial records. -- 1939–1952. 78. General account book. -- 1938–1943. 82. Correspondence of Rudolph Wirsche with Frank Froese. -- 1947–1948. 83. Correspondence of J.J. Thiessen with Frank Froese. -- 1946–1948. 84. Correspondence of J.J. Thiessen with John F. Froese. -- 1952–1953. 85. Correspondence of John E. Priebe with Frank Froese. -- 1947–1948. 86. Camp correspondence. -- 1953. 87. Correspondence between John F. Froese and Western Children’s Mission workers. -- 1953. 88. Correspondence between J.J. Thiessen and others with John F. Froese. -- 1954. 89. General correspondence. -- 1953. 90. Radio programs. -- 1944. 91. Radio programs. -- 1945. 92. Radio programs. -- 1946. 93. Radio programs. -- 1947. 94. Radio programs. -- 1949. 95. Radio programs. -- 1950. 96. Radio programs. -- 1951. 97. Radio programs. -- 1952. 98. Applications for Bible Memory Contest. -- 1952. Rules for Bible Memory Contest. -- 1938. 99. Applications for Bible Memory Contest. -- 1953. 100. Applications for teaching Summer Vacation Bible School. -- 1953. 101. Applications for teaching Summer Vacation Bible School. -- 1954. 102. Historical materials, constitution, teacher’s manual. 103. Artifact – seal for Western Children’s Mission. 104. Teacher's Manual for Daiily Vacation Bible School. -- 1953. 105. 100 Choice Object Lessons by Jean Fehr. -- 1953.